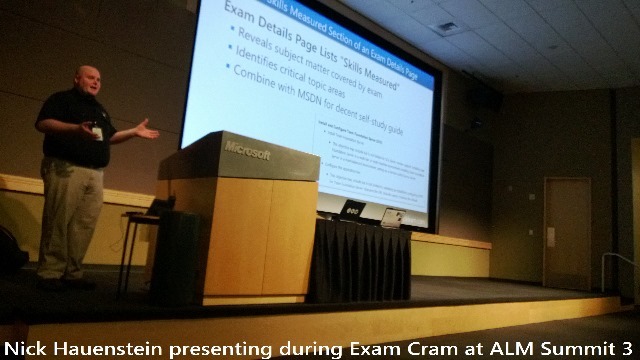 This week QuickLearn was involved at the third annual Application Lifecycle Management Summit held on the Microsoft Corporate headquarters in Redmond. Nick and I were both involved in delivering content and sharing our TFS knowledge and skills with attendees. Here are the two activities we presented. I delivered a sold-out pre-conference workshop entitled “Managing your application lifecycle with TFS”. 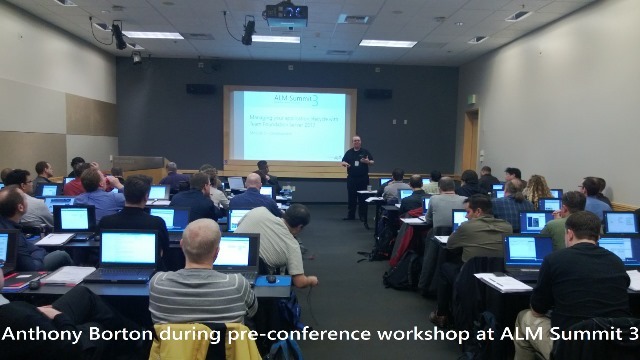 The workshop provided attendees with a rapid overview of many of the features of Microsoft’s ALM suite. Based on the number of questions from attendees, there was a lot of interest in the new features in TFS 2012. Microsoft took the opportunity to announce the brand new MCSD: Application Lifecycle Management certification at the conference. Nick and I paired up to deliver a 90 minute exam prep session to help attendees learn the best way to prepare for the three exams required for the new certification. Fortunately, both Nick and I both already have the certification so this made things a little easier. Feedback from both activities was overwhelmingly positive and with our commitments done, we’re both just enjoying attending sessions at the conference for the rest of the week.